Would you like to learn the basics of Eden Energy Medicine (EEM) in a fun, supportive environment? If so, these two classes are for you! They are straight forward, easy, and full of information to help you take better care of yourself and help others do the same. Taught sequentially, EM101 and EM102 are each one-day classes that cover many of the key topics from Donna Eden’s award-winning book, Energy Medicine. The information you gain from these two classes will help you feel and be your best. EM101 introduces EEM basics plus many topics that are important for selfcare and healing. A quick Daily Energy Routine (just over 5 minutes) is taught that will have your energies humming in no time, plus ways to feel more grounded and centered are explored. EM101 also gives an introduction to meridians, one of the mainstays of EEM. Meridians are the rivers of energy that bathe and vitalize our body and its systems. 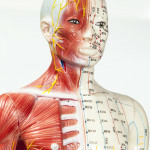 Ways to work with and balance two key meridians, Triple Warmer and Spleen, are highlighted in this class, as well as additional techniques for managing stress. Deb Gallagher RN, EEM-CP, has worked as a nurse at LGH for 17 years, and working with Eden Energy Medicine for 5 years, with a private practice. This year she is in the mist of studying energy medicine advance classes dealing with cancer and heart disease.